Hi I would like to nominate Chairity Townsend as a top psychic. This girl is the sweetest most caring girl / psychic I have ever met! She is a mom and wife. I have been having readings done by her for some time now as a close friend of hers. When we met she told me she did readings, I kind of laughed at the idea. So she did a reading for me, I was falling out of my seat by the end. Keep in mind I just met this girl she told me things that NO one knows! Not even my husband or parents. I was hooked. She did readings for family and friends mainly and she worked full time. She is a very helpful and sincere person, and has been doing this for a short time - one person at a time! In a month she branched off starting a site and doing email readings for $3.00-$6.00US. Not making a lot but not wanting to charge a lot. She does these when her son naps. In 2 months she is now on keen, ebay, email readings and loves every minute of it! She has no idea I have done this and I truly wish her all the best! I love her like a sister and you will too. She really does care and try so hard. I think this girl is definitely an up and comer. She works so hard and deserves the publicity as she is incredible! I wish I could tell the world for her! She cannot afford the proper channels of advertising. She is married and her husband picks up all the extra shifts he can. But this is not a pity article, not at all!! She really is amazing! She has described up and coming men and woman, she has described places they meet, she does beautiful past life readings, and her tarot cards seem to know everything! She really cares about doing your reading. Absolutely give her a shot you will not be disappointed http://powerful-readings.webs.com I tell everyone to give her a chance. I enjoy her tea leaf readings and they have proven to be very right. I have not, yet gotten another reading besides her tea leaf, but if you are that good with tea leaves, I will make sure I try another, soon enough enough. PS. I talked to you about my bf S.P. Hi, I have been a customer and become a friend of Chairity for several years and to be honest she is an amazing person, always kind and thoughtful and works herself way to hard and to much sometimes but when it comes to her readings she tells you what the cards or T leafs say not always what you want to hear, but always what is the truth as best she can, good or bad.  You want an honest psychic then find her on the net or face book. I have been through alot of things which I won't go into and Chairity has always tried to be there as a friend first, so she will be my friend untill the end. I hope anyone who reads this gives her a chance and gets a reading and give it sometime and watch it unfold, I have done that time and time again, Sometimes she really amazes me, because she will tell me what the cards say and I will think things will work out one way and it will work out a different way than I had thought but after reflection on what she had said would happen she was 1000% right ,It would just be different than I originially exspected. I have found that she and I have a special relationship that I hold very, very, very, dear to my heart. Honestly if it weren't for the hope she has given me insight to , about a certain situation in my life then I probably would not be here to write this and I'll leave it at that. I hope Chairity gets all the happiness she deserves in this life and in the next. I honestly beleave when I found her on ebay, it was prearranged by a higher power,who knew better than I ,what was best for me at the time. Either way I know she is foreal and one of the best psychics out there I wish you all could see for yourselves and you to will agree. Chairity Townsend is in my book a Top Rated Psychic and my friend and that is a very small club because I won't let just anybody join. I have to really trust someone first and I don't trust many people at all. Chairity is really someone that will understand your problems, questions, and what you are searching for. I personially gaurintee you will enjoy any readings you get from her. I honestly have bought hundreds if not thousands and always wanted to know more. I told her one time her readings were like crack cocaine , I needed my fix,lol. Well everyone is entitled to there opinion and this was mine, I hope you enjoyed reading it, Thanks for your time,James in Mississippi. I got a reading with Charity late last year and her words matched another great psychics reading that I recieved some months after. Of course the premonitions have not manifested yet in my life but I have a feeling she's on to something definitely...but we will have to see of course.  Her prices are amazing low compared to other so called psychics, so be rest assured she's not doing it purely to make finacial gain and swindle people. I say give her a shot!! Thank you for being so honest but kind. How you could do both was mind blowing! This psychic is a Blessing she has lit my life up in so many ways. She is not just a beautiful person to talk to.. She is a fabulous reader. She is accurate, she is insightful.I enjoy her daily horoscopes & angel readings. I highly recommend this girl. And one of your confidants & guides in this life. This person is A+++ She obviously has the reviews give her a try. She is mind blowingly affordable and worth it. She is the real thing! She has been reading for me for the past year. Chairity did my reading via e-mail, 2 days ago. At first I was a bit apprehensive about how low her charges were. I thought it may just end being another computer generated generic reading. When I got my reading - it was 100% genuine. The reading was not robotic, it was my life reading to the point! She is sincere, warm and always approachable after the readings. And God bless such a kind and caring soul. A beautiful and accurate card reader this girl is.I connected with her on allexperts and since I have trusted her advice and knowledge of a situation at any time, she is not just trustworthy but fast at responding to my email. Chairity has brought light and truth into my situations. She is an honest and beautiful card reader. She really does care this shows in all of her emails to me. If you have a chance contact her and tell her Tara M. from NY sent you.You will just be amazed. Also her past life reading is just simply the best. I got a past life reading from Charity. I am from Ireland and thought how was this girl going to do a past life reading on me? But For 7 bucks American; worth a shot. In a few hours I got my reading. I gave her my name and DOB. She gave me three different past lives.I was actually amazed,how much this reading related to me now. Then when I thought about the detail and all the info it was impressive. She then told me that one of my past lives I was killed, she told me where and when.Then told me how a mark may be in the area of my neck. So interesting I always have had problems with me neck now, plus I have a weird birth mark on it. There is no way she would have known this. It was just really interesting and recommended. Not ever having a reading before I thought why not? As long as it is "really free" Chairity informed me that my boyfriend was cheating on me. But I knew it was true, then she told me it was with a dear friend of his from the past. Unfortunately she was right again! Then she told me that once that pain went away and we talked about it we would make up and I would get pregnant. Well here we are officially just past one month pregnant now! Although it wasn?t the happiest news it was the truth and gave me the info I needed. I have gotten her to do email readings a few times since ;) I trust her words. She is very optimistic, encouraging. She has helped me and given me the guidance that I need. She deserves all the credit ever. [powerful_readings (AT) hotmail.com] Please let her know that Jill Samson sent you because she gives a free 3 question reading for referrals.